Runners come in a variety of flavors. Some jog around for a weight loss program. Others focus on the 5K and 10K. Most generally move up to the half and full marathon. And then theres the true thrill-seeker, the runner that moves up the the ultra. And its a whole different kettle of fish. What I mean there is that there must be a substantial training concept shift away from regular training plans. The shift is as much psychological as physical, or in at least it was in my case. Where shorter races are fairly well defined, ultras come in many distances. The only generally-agreed upon rule is that the minimum distance is anything over a regular marathon (26.2 miles). From there it just goes up. That being said, for most of us this race isnt speed-oriented. Not to say that you dont want to do your best, however the point is reaching the finish line in a vertical position and enjoying yourself. The advice I give below is what worked for me, tweaked over the course of 5 Sunmart Ultras in Huntsville State Park. As a caveat, remember that due to the extra stress you are putting on your body, always warm up. Here are 5 Effective Dynamic Warm-Up Techniques. Speedwork. At the beginning of your training, do what you do for your regular marathon speedwork routine. But about halfway through your training program (week 13 if youre on a 26-week plan), add some 2-mile repeats at the track and some fartlek on your training runs. Hillwork. This is an important component in your plan. Why? Most ultras are trail runs and most trails have lots of hills, some of them quite brutal, uh, I mean technical. Since Im in the flat Houston area, I like the Fred Hartman Baytown Bridge. Trail running. Train how you race. Running trails is one of the bonuses of ultra training. Its just more fun that concrete for one thing, and youre much less likely to get injured doing the big miles. Weight training. Many runners dont do any weight training. I didnt either before my first ultra. 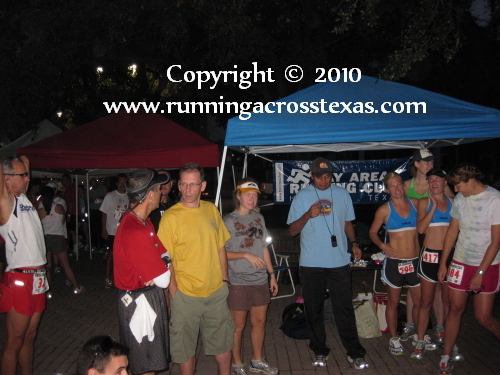 But on the days after the race, my upper body was as sore as my legs. Why? I suspect its all the balancing you have to do on the trails. Very unlike a street marathon. Your weekly long run. For a standard marathon, there are several opinions. One school of thought says just be sure to get 2 or 3 20-mile runs before the taper begins. Another school maintains going 26 or 27 miles. For ultras, the same thing applies but I like to make my longest long runs 24 or so with plenty of breaks. Another strategy I like is to break it up and do a 15-miler on Saturday, followed by another on Sunday. Which way you goes just depends on how much stress you can handle. Experiment. Stretch, stretch, and stretch some more. It would behoove the smart runner to stretch at least once a day, preferably twice. Pick up The Stick at your local running store. Your muscles will thank you.